The Arts Center has classes for everyone. 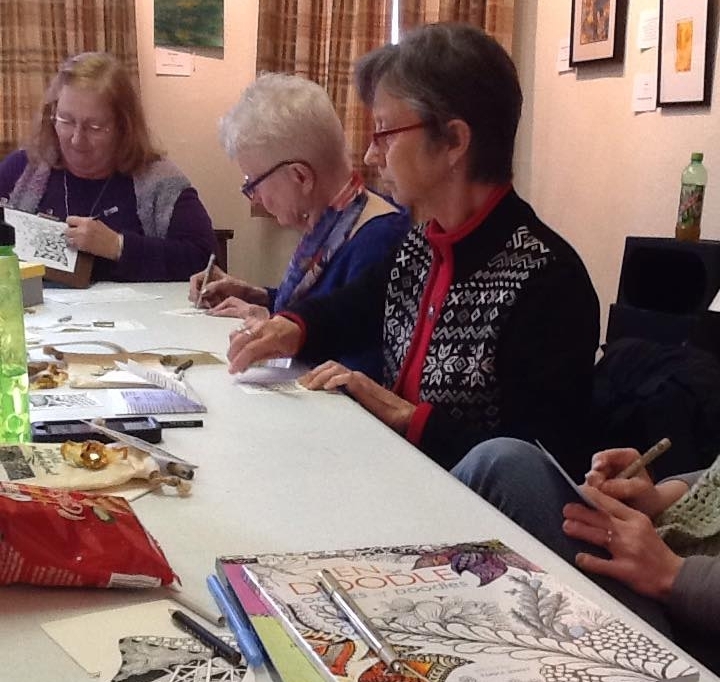 We offer classes in fiber, pottery, stained glass, fused glass, wine & art nights, mixed media, painting, acrylic, watercolors, oil, movement, dancing, culinary and so much more. Mediums are offered at different times througout the year based on the instructors schedule. Art instructors are professionals and have a great deal of experience. If you have any questions that are not answered online, please call the Arts Coordinator at 304.637.2355. There is limited space in each class. Classes must meet a minimum number and due to small settings, have a maximum; please don't wait until the last minute to register. We love our kids at The Arts Center and its truly amazing to watch as they develop their own skill and style that reflects their individual personality. All art classes are listed within the online calendar/schedule; dates, times, descriptions within each class. After School Art (ASA) offers a multidisciplinary approach and is part of a creative arts education; supplementing the school experience. Bus from Third and Midland. Finishing up the 17/18 School year with the month of May. Stay tuned for school year 18/19, which will be announced as we approach the new school year. Elkins Parks & Recreation joins us again for the Summer of 2018. EPRC offers a wonderful summer program to the Elementary age student at the park every summer. For details on this program, please be in contact with EPRC. 304.636.3960. EPRC will be attending weekly art classes on Wednesdays in June and July! Tons of exciting art projects. Adult art classes are as popular as the kids classes! With such a large variety there are many classes and workshops to choose from. All art classes are listed within the online calendar/schedule; dates, times, descriptions within each class. Studio is open in the mornings and early afternoons. Cost allows for 16 to 20 studio hours per month, use of our equipment, tools and kiln firings. *Bring your OWN clay! Must possess a certain level of pottery skills; ability to operate wheels, use of glaze, ability to fire "our" kilns, and advanced knowledge of all parts/components of the studio. Work independently in the studio to advance your skills. Must possess a certain level of glass studio skills; ability and knowledge to operate any equipment we have in the studio. *Must bring your OWN glass and glass cutters! No instructor, pay the model directly. Schedule TBD by group. Artists meet once a week to draw from a live model to study the human form. The human body is the most complex of creations with endless possibilities for improvement. Figure drawing is not something to be ‘learned’ once and then discarded. This class forces you to see the relationships, measurements, and proportions of the human body. A two-minute gesture drawing or a two-hour pose, artist train themselves to accomplish a task in a given time frame; vital for artists! Flute, recorder or vocal lessons with Katy McClane. Incorporate technique, music interpretation and performance. Beginner to advance levels; designed to meet your needs. Henna with Miss Cade...yes this is a students work!